This is a wonderful cookery book. Witness the fact that mine’s so well-used that there are stains on the cover. You’ll be certain to find inspiration when you just don’t know exactly what it is you feel like eating. 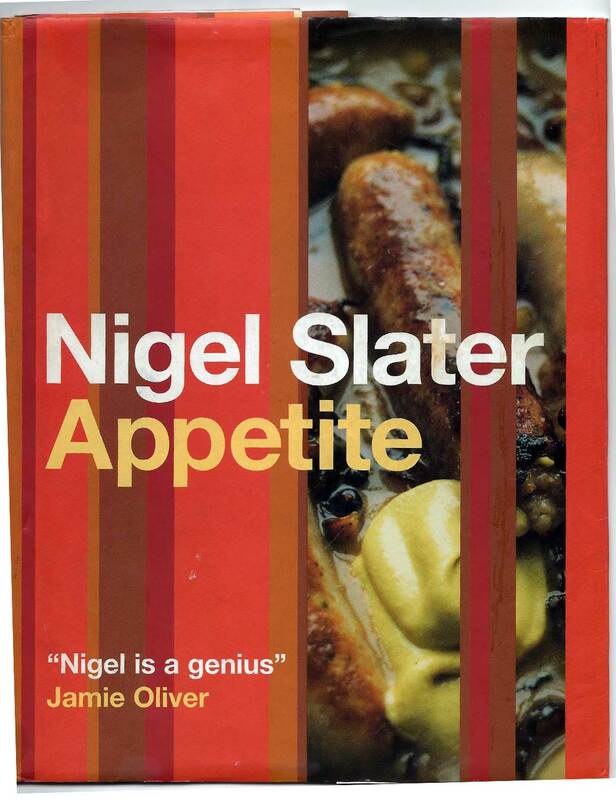 Wonderfully imprecise, Nigel Slater hails from the little-bit-of-this and little-bit-of-that school of cooking.